Dealing with acne is certainly not fun! 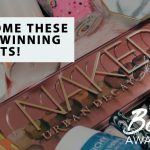 It can be frustrating because it’ll usually take a few trials and errors before you find the right skincare products for your skin condition. 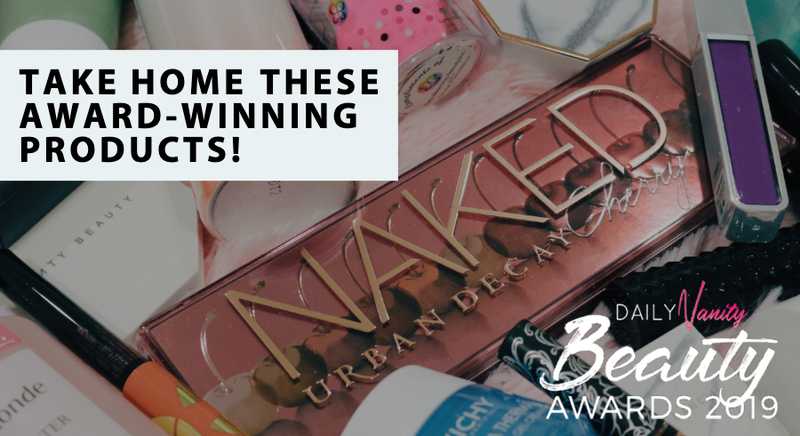 If you’re still looking for products that can help improve your acne concerns, read on. 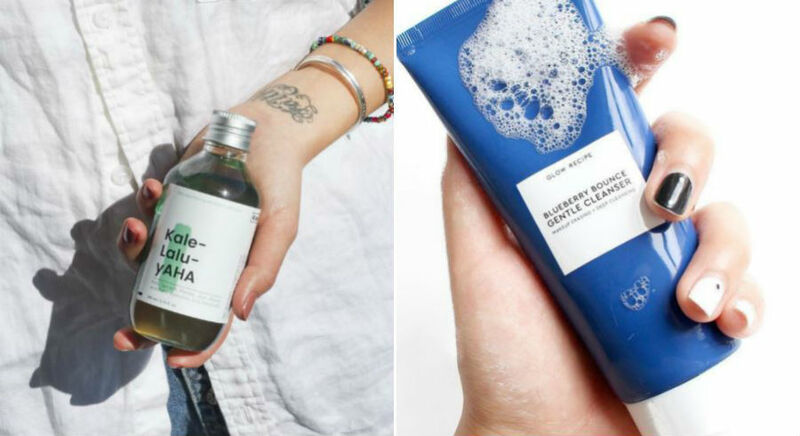 Here are 27 acne-fighting products that we’ve heard rave reviews about and you can consider putting into your SOS list from now on. Getting rid of those pesky pimples fast is made easy with the Labottach AC Thyol Patch. The Sleepy Moon Acne Thyol Care range comes in four varieties that are targeted for different areas of the face, such as for your forehead, cheeks, and chin. Each patch is enhanced with a Hydrogel technology that transports constant moisture and active ingredients to the applied area, softening lesions all while having an anti-microbial and anti-bacterial effect on skin. If you’re worried that it may be a little too drying on your skin or that it might sensitise it, fret not. This patch is made of a pharma level, high quality elastic non-woven fabric that has been dermatologically-tested. Suitable for all skin types, it is recommended that you stick one on right before you go to bed. Peel it off in the morning, and get ready to see visible results! 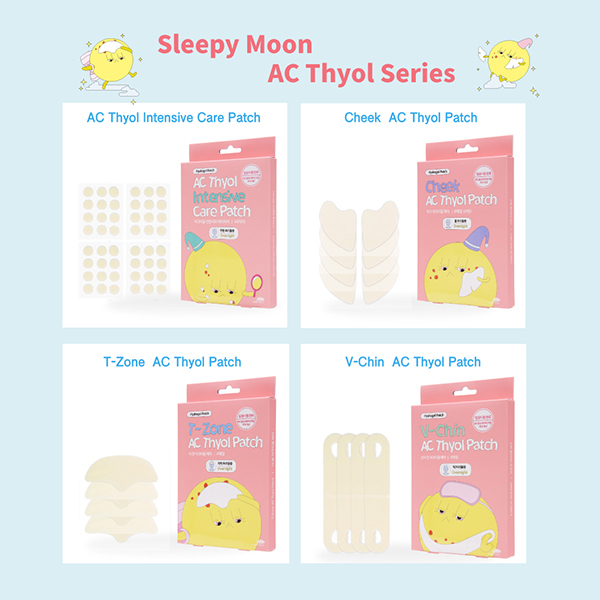 The Labottach Sleepy Moon T-Zone and Cheek Acne Thyol Care Patch retails for SGD16.20 per box (4 sheets and pairs respectively). The Labottach Sleepy Moon V-Chin AC Patch retails for SGD17.82 per box (4 sheets), while the Labottach Sleepy Moon Intensive Care Patch retails for SGD17.01 per box (48 pieces). 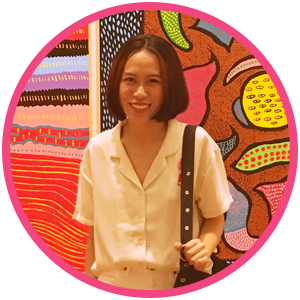 More brand information and product introduction is available on Labottach official site, with there being special discount events being held randomly on Labottach official site, Lazada, Qoo10 and Ezbuy. Make sure to follow them on Instagram and Facebook for more up to date news! This powder cleanser from Japan has a cult following because of how it leaves skin clearer and smoother. The product contains enzymes that break down sebum and proteins that clog pores so that acne can be prevented. The product comes in a box of capsules, each of them packaged to contain the right amount of powder to use in each wash. Simply add water and lather up a dense foam. You can use this cleanser once a week or 2-3 times a week if you find that your pores are often clogged. 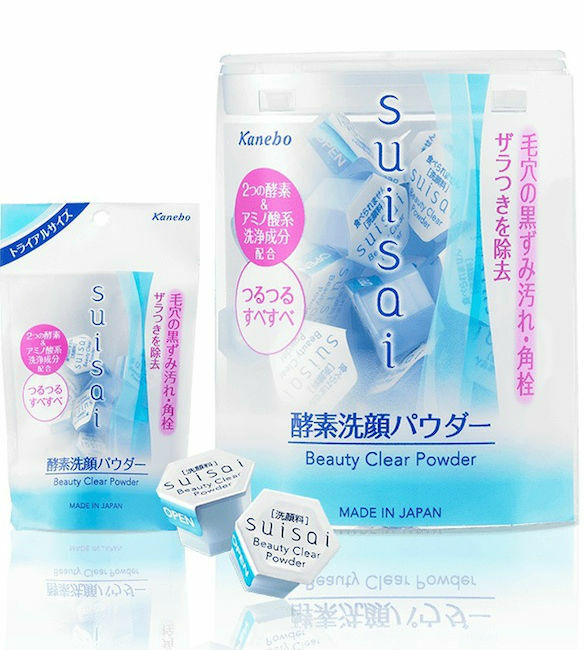 The Suisai Beauty Clear Powder has received a lot of rave reviews, and you can read what Daily Vanity readers think about it. This cleansing oil is great for acne-prone skin and its mild formula ensures that your skin won’t be irritated easily. The hypo-allergenic formula is packed with vegetable oils such as Black Bean oil, Black Sesame Oil, and Blackcurrant Seed Oil. This product cleanses, controls sebum production, and moisturises your skin like no other. DV Tip: This product is best used as a first cleanse, followed by a second cleanser of your choice. Klairs Gentle Black Deep Cleansing Oil retails for an estimated price of SGD28.90 and is available online at Lazada and Qoo10 (shipping fees apply) . This cleanser incorporates micellar technology so that oil droplets that are suspended in water can help remove impurities, dirt, and sebum more effectively. It is formulated with the star ingredient, Cica, otherwise known as Centella Asiatica. You may find this ingredient familiar because it has made quite an impression within the skincare community with its antimicrobial, antioxidant, anti-inflammatory, and anti-ageing properties. 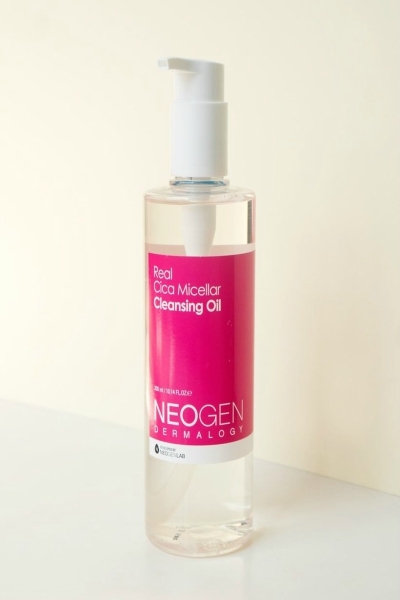 Neogen Real CICA Micellar Cleansing Oil retails for an estimated price of SGD 22 and is available online at Qoo10 (shipping fees apply). Targeted at those who have acne-prone and sensitive skin, this cleanser has a gel-like consistency and releases micro-sized molecules to deeply cleanse pores of sebum and impurities. The unique formula allows skin to be cleansed thoroughly, without irritating it. Formulated with Papaya Extract, Soapwort, and Aloe Vera, this product also exfoliates skin and soothes inflammation. 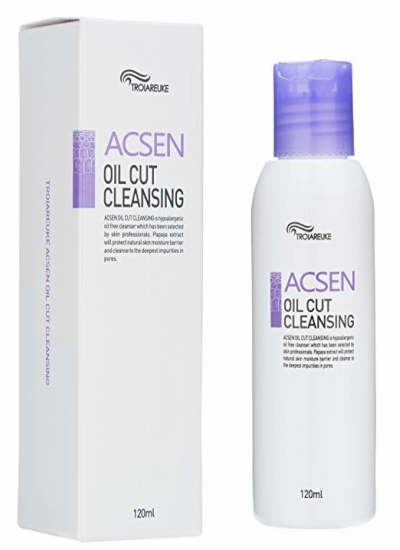 ACSEN Oil Cut Cleansing retails for an estimated price of SGD 112 and is available on Lazada (shipping fees apply). Another gel cleanser to look out for is the Glow Recipe Blueberry Bounce Gentle Cleanser. Not only does it please the eyes with its visible Blueberry Extract, it also smells heavenly! The Alpha Hydroxy Acid (AHA) present in this cleanser helps to remove dead skin cell while, the Blueberry Extract helps to strengthen, clarify, and fortify the skin. After washing your face, your skin will feel more hydrated and healthier. 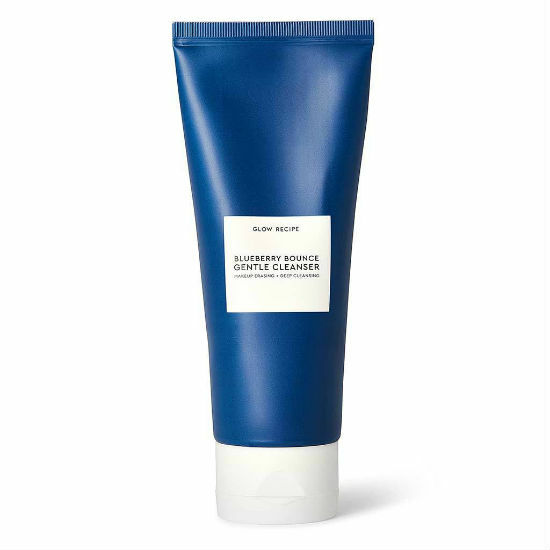 Glow Recipe Blueberry Bounce Gentle Cleanser retails for £30.00 (about SGD 54) and is available on Cultbeauty (Shipping fee applies). Exfoliation is an important step in preventing and fighting acne. This is because clogged pores are the first step to the occurrence of a pimple. If you’re looking for an easy way to exfoliate, consider this product that is made up of cotton pads pre-soaked in Betaine Salicylate and Willow Bark Water. These ingredients chemically exfoliate skin without drying it out. You will be surprised to see that there are “dirt” left on the cotton pad even after a thorough cleanse! 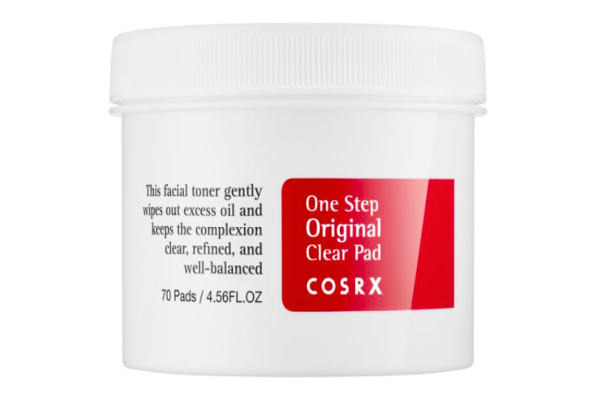 COSRX One Step Original Clear Pimple Pad retails for SGD 22.90 and is available at Watsons. Here’s another exfoliating pad to consider. 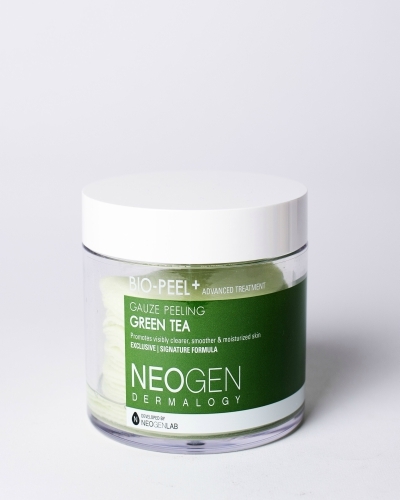 The Neogen Bio-Peel+ Gauze Peeling features pre-soaked Green Tea, a powerful antioxidant and anti-inflammatory ingredient that prevents premature ageing and soothe irritated skin. The pads have a unique three-layer technology that allows gentle but effective exfoliation of dead skin cells, while leaving the skin, smooth and clean. Many have noticed a brighter complexion and less pigmentation after regular use! DV Tip: Exfoliate your skin using the gauze side. Rotate the pad and use the soft side to pick up remaining debris. Finish off by rinsing your face with lukewarm water. 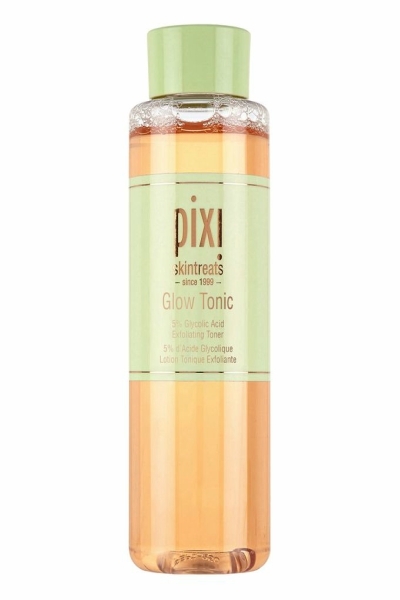 Another holy grail to add on your list is the Pixi Glow Tonic. Glycolic Acid is present in this exfoliating toner to deeply clean pores by gently exfoliating dead skin cells without compromising skin’s hydration. This toner is alcohol-free and is ideal for people with sensitive skin! Pixi Glow Tonic retails at SGD9 for 15ml, SGD22 for 100ml, and SGD44 for 250ml respectively. 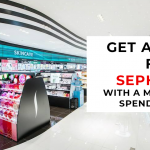 It is available at Sephora stores. If your skin is feeling congested, give your skin a detox by applying a mud mask. 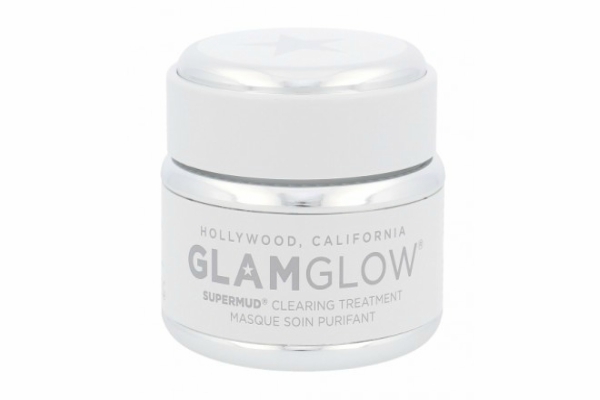 GlamGlow is renowned amongst hollywood celebrities and the public for its mud mask, specifically, the GlamGlow Supermud Clearing Treatment. This mask is made with a unique blend that helps balance skin’s natural oils and specially chosen acids hat help exfoliate dead skin cells. It is also formulated with an absorbent carbon, Activated-X Charcoal, that draws out dirt and impurities, making the skin smooth and healthy-looking! Don’t be surprised when you see little black spots as the mud mask dries down. Those are actually the dirt and impurities being pulled out! DV Tip: Apply toner before and after the mud mask to balance skin pH’s level and to maximise the absorption of key ingredients of following skincare products. GlamGlow Supermud Clearing Treatment retails at SGD35 for 15g, SGD86 for 50g and SGD114 for 100g. 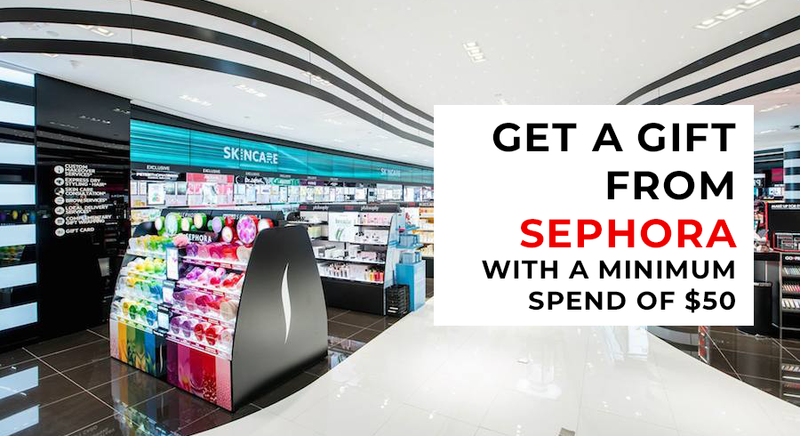 It is available at Sephora stores. 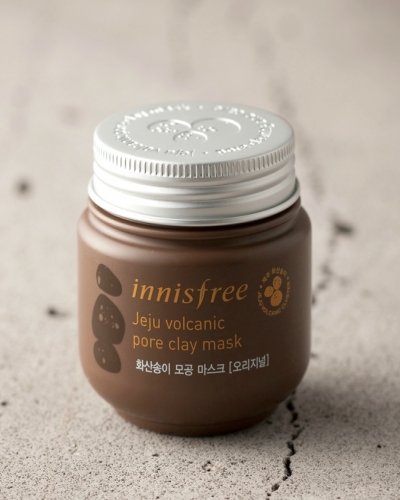 Another contender for a great mud mask is the Innisfree Jeju Volcanic Pore Clay Mask. This clay mask is formulated with solidified lava found in Jeju Island, allowing absorption of impurities and sebum sitting deep in the pores. In addition, it gently exfoliates dead skin cells, leaving your skin looking cleaner and brighter! Innisfree Jeju Volcanic Pore Clay Mask retails for SGD 20 and is available at Innisfree stores. The Kate Somerville® EradiKate Mask is a detox mask that gently exfoliates dead skin cells and keeps future breakouts at bay, thanks to its star ingredient, Colloidal Sulfur. The mask’s gel-to-cream consistency turns into foam as it draws out dirt, impurities, and excess sebum from deep within the pores. Ingredients like Honey and Rice Bran Extract also helps to soothe irritated skin. 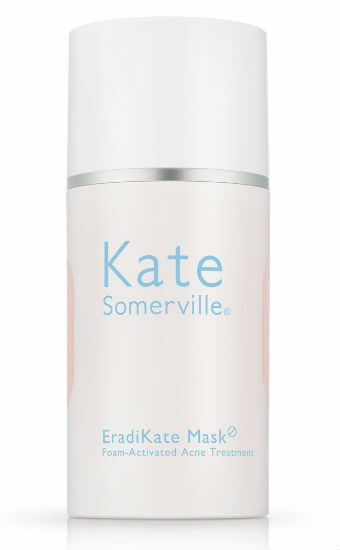 Kate Somerville EradiKate Mask retails for SGD 82 and is available at Sephora stores. LUSH’s Mask Of Magnaminty comes in two versions: Original, which dries more thoroughly when applied, and Self-Preserving, which has a higher honey content making it thicker in consistency. Both contain star ingredients like Kaolin Clay, Peppermint Oil, Ground Aduki Beans, and Honey, which work together to draw out dirt and impurities from deep within, gently exfoliate, and provide moisture & anti-bacterial properties to prevent inflammation. 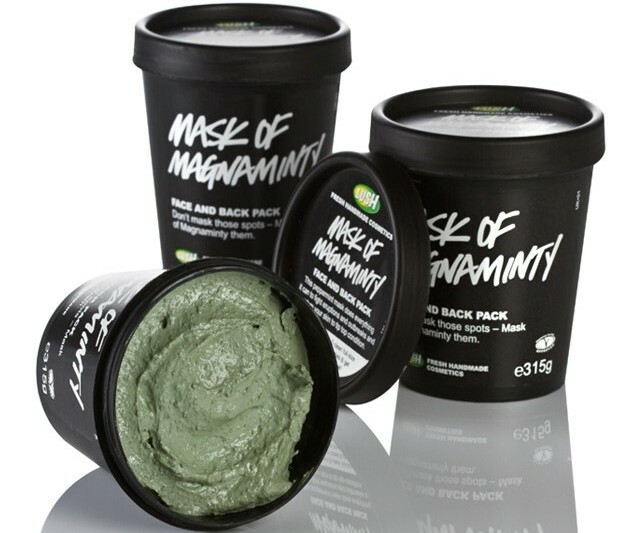 LUSH Mask Of Magnaminty retails at SGD52 for 315g and SGD30 for 125g. It is available at LUSH stores. 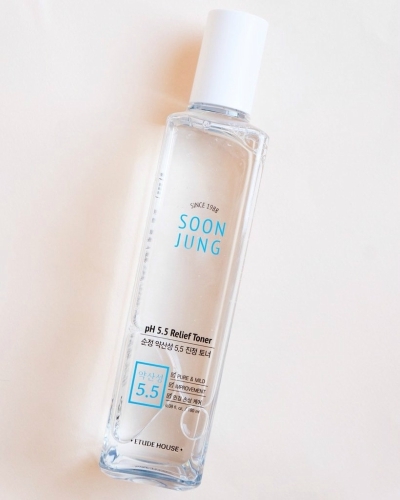 97% of the Soon Jung pH 5.5 Relief Toner is made from naturally-derived ingredients, and from its name, you’d have guessed that it helps skin to maintain its ideal pH level. 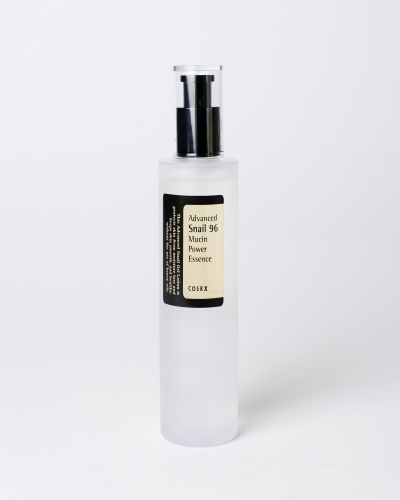 The toner is formulated with Vitamin B5 to provide deep hydration, and Centella Asiatica to heal damaged skin barrier. To add on, it is free from ten potential skin irritants, making it perfect for any skin type! Etude House Soonjung pH 5.5 Relief Toner retails for an estimated price of SGD 26 and is available at Etude House stores. 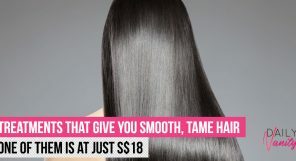 This product contains AHA and BHA. The former works on skin’s surface while hydrating it, while the latter works deep within pores and calms skin. 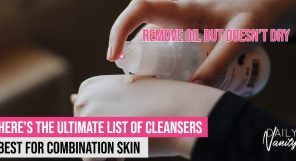 It helps acne-prone skin by gently exfoliating dead skin cells and preventing early development of whiteheads and blackheads, which leads to breakouts when they inflame. 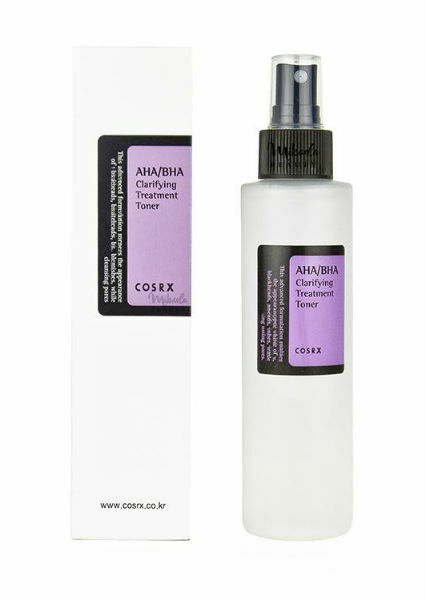 COSRX AHA/BHA Clarifying Treatment Toner retails for SGD21.90 and is available at Watsons. 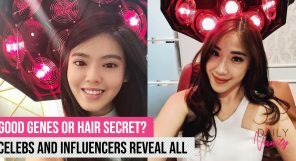 Skincare enthusiasts would probably be familiar with YouTuber Liah Yoo, who often shares about acne-fighting solutions on her channel. 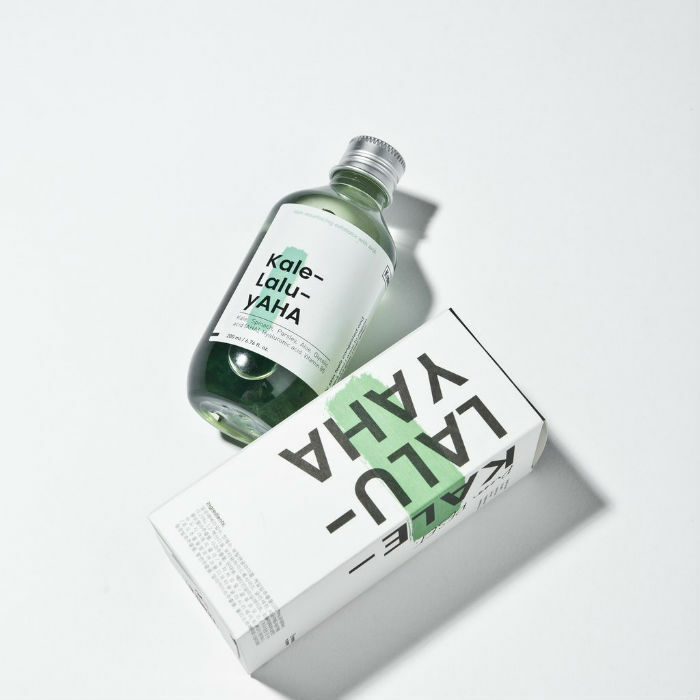 The skincare guru also has her own skincare brand KraveBeauty, and her Kale-Lalu-yAHA is a skin-resurfacing exfoliator loved by many. Formulated with 5.25% Glycolic Acid, Dark Leafy Greens, Aloe Vera, Hyaluronic Acid, Vitamin B5, and Allantoin, the product promises to exfoliate, hydrate, and soothe the skin while making sure there’s no irritation. 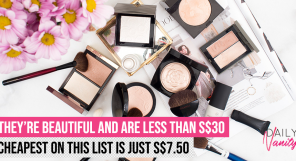 KraveBeauty Kale-Lalu-yAHA retails for SGD45.90 on Qoo10 (shipping fees apply). 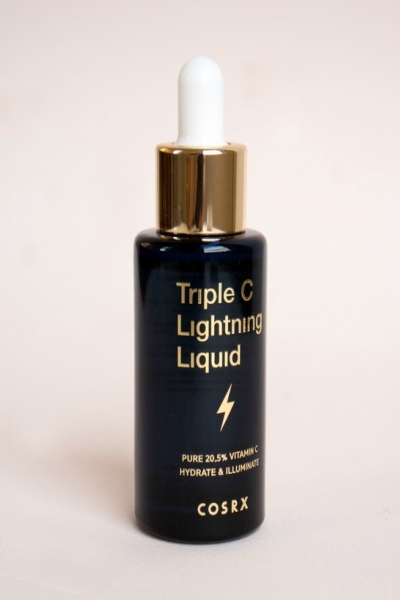 If you’re looking for a product that doesn’t just have anti-inflammatory properties but also brighten skin tone so that acne scars can appear lighter, then the COSRX’s Triple C Lightning Liquid is the serum to go for. 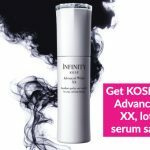 It contains 20.5% of Pure Vitamin C (Ascorbic Acid) for skin brightening and is also formulated with 72% of Black Chokeberry, a great anti-inflammatory ingredient. This hydrating serum does a few things for acne-prone skin. It balances sebum activity so that skin remains matte, and at the same time soothe inflammation and can even reduce the occurrence of scarring. 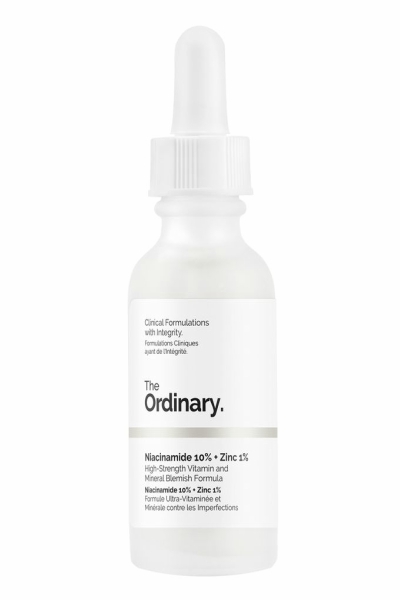 The Ordinary Niacinamide 10% + Zinc 1% retails for USD5.90 (~SGD8.10) and is available on Beautylish (shipping fees apply). This essence helps with cell regeneration so that acne-prone skin can receive the right nutrients to improve condition over time. Don’t be surprised that snail mucus is used in the formula; this ingredient is well-loved in Korean beauty products because it helps smoothen the appearance of complexion. 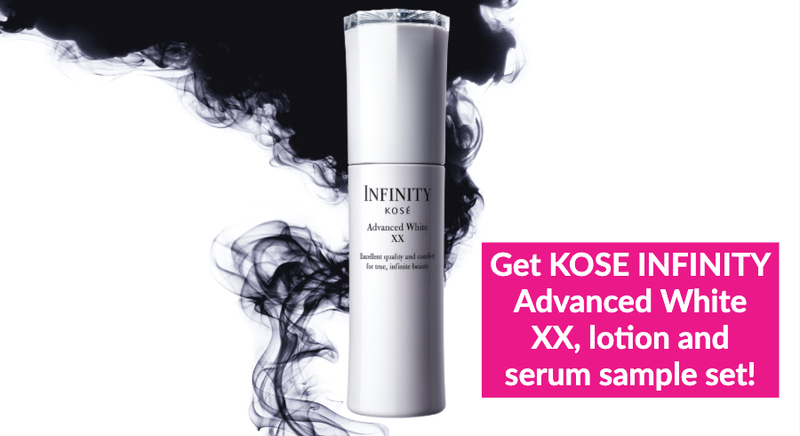 COSRX Advanced Snail 96 Mucin Power Essence retails for SGD 28.90 and is available at Watsons. This multi-purpose balm is formulated with amazing acne-fighting ingredients that soothe and hydrate irritated skin while healing damaged skin barrier. Its alcohol- and fragrance-free formula also makes it a great product to be used on sensitive skin. La Roche-Posay Cicaplast Baume B5 retails for SGD 21.90 and is available at Watsons. This light moisturiser is packed with anti-ageing and anti-inflammatory properties. Ideal for acne-prone skin, it ensures that skin feels soothed and hydrated, while boosting skin’s natural barrier function. 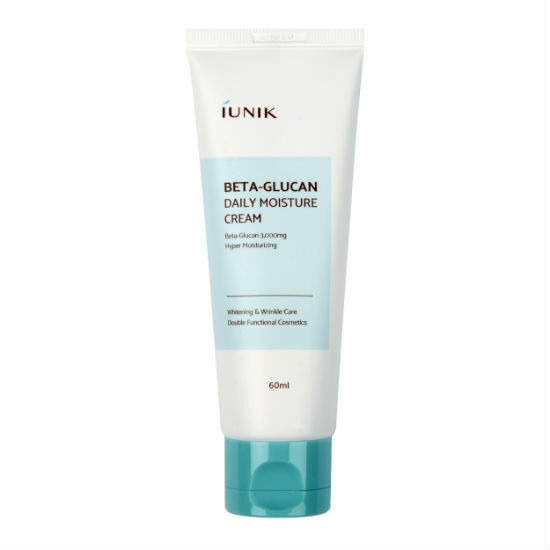 iUNIK Beta Glucan Daily Moisture Cream is available on Qoo10 (shipping fees apply). 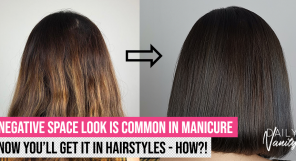 Shaped like a huge cotton bud, it allows for a precise application onto the affected area. The Dr. Oracle A-Thera Tea Tree Peeling Sticks are pre-soaked in 6% AHA and BHA solution to gently exfoliate, without irritating the skin. It is TSA-approved so it’s extremely suitable to bring along when you’re travelling! 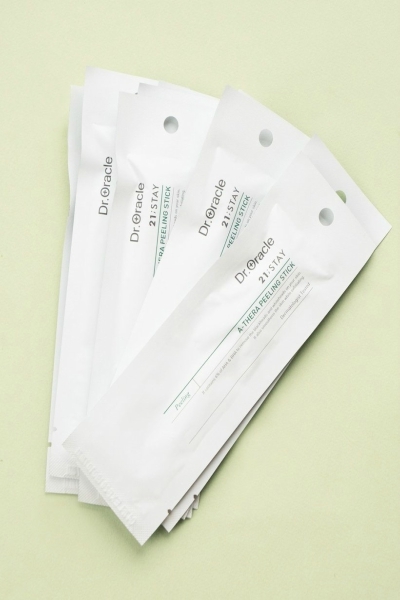 Dr. Oracle A-Thera Tea Tree Peeling Sticks retails for USD24 (~SGD 33) and is available on SokoGlam (shipping fees apply). Ever had a pimple emerging a day before an important event? Don’t worry, Mario Badescu’s Drying Lotion to the rescue. Formulated with Salycilic Acid, Sulfur, and Zinc Oxide, the Drying Lotion will draw out impurities and soothe the pimple at the same time. You may dip a cotton bud into the solution and apply it to the pimple and leave it overnight. DV Tip: Do not shake the bottle. If you did, just let the pink powder settle onto the bottom of the solution. 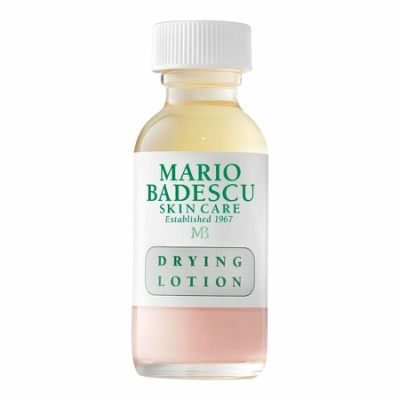 Mario Badescu Drying Lotion retails for SGD 36 and is available at Sephora stores. 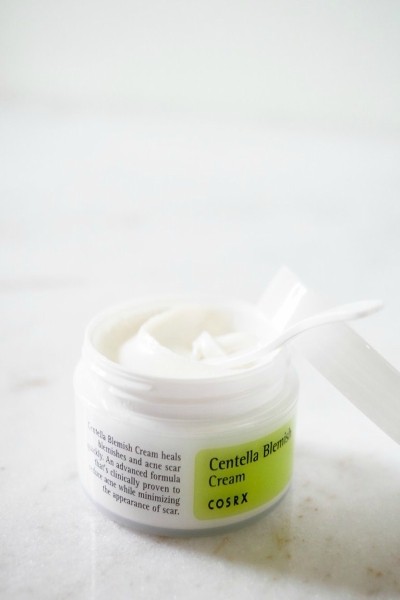 This blemish cream is formulated with ingredients like Centella Asiatica and Tea Tree Oil to help skin that’s plagued by acne. It has anti-bacterial, anti-inflammatory, and antioxidant properties so that acne can be soothed quickly and appearance scar is minimised. To use it, apply the cream on problem areas. COSRX Centella Blemish Cream retails for SGD 30.90 and is available at Watsons. 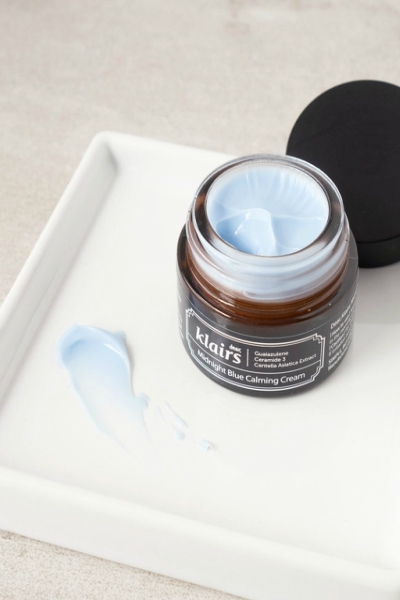 The main ingredients in the Klairs Midnight Blue Calming Cream, Gualazulene and Centella Asiatica, don’t just calm inflammation but also prevent acne scarring. Apply this at night onto targeted areas to help your skin regenerate and heal problem areas. 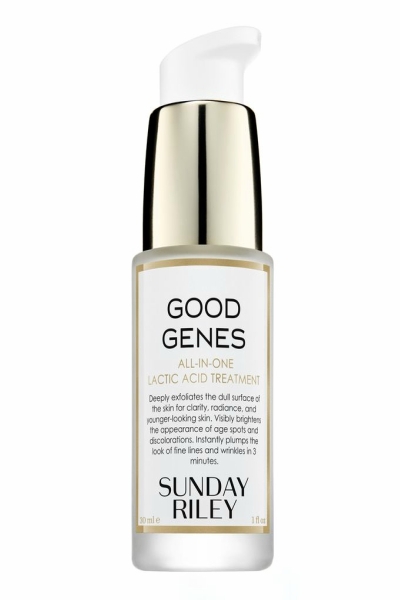 Sunday Riley’s Good Genes All-in-one Lactic Acid Treatment is a multi-purpose treatment formulated with star ingredients like, Lactic Acid, Liquorice, Lemongrass, and Sunday’s patented N-5 Ageless complex. The potent blend of ingredients combine together to combat early signs of ageing, brighten skin tone, and protect from environmental aggressors. No wonder it’s a cult favorite! Use this to get rid of comedones that inflame into pimples. Sunday Riley Good Genes retails for SGD148 at Sephora or USD108.73 at Net-a-porter (shipping fees apply). Instead of blotting, which can irritate skin, use this facial mist instead, Designed to target key signs of oily and acne-prone skin, it mattifies skin instantly. The star ingredients of this formula is the Natural Thermal Spring Water and Zinc Sulfate. The former soothes skin and keeps it hydrated, while the latter regulates sebum production and soothe any inflammation. You can also use this to freshen up your makeup! La Roche-Posay Serozinc retails for SGD 24.90 for 150ml and SGD 12.90 for 50ml. It is available at Watsons and RedMart.